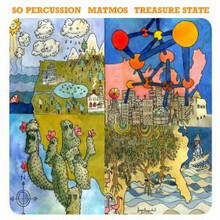 Treasure State is the joint effort of Brooklyn-based classical/avant-garde quartet So Percussion and Matmos, our left-field cutup crew responsible for a number of Bjork productions and the essential “A Chance to Cut Is a Chance to Cure”. Over eight tracks, clever, aberrant drums meld with wayward horns, textural clicks and cuts and an eccentric spectrum of tactile sounds and arbitrary instruments — ceramic planters, aluminum cans, and cactus needles, to name a few. From the formless wooden charm of “Needles” to the bass-heavy minor key of “Aluminum”, Treasure State is a treat of an experimental record, heavy on the intrigue and just accessible enough. Columbian-born superstar DJ Erick Morillo drops a heady brew of voodoo and shamanism with his new Ibiza mix session off acclaimed Subliminal Records. Opening with an unorthodox fusion of tribal and minimal flavors, Voodoo Nights unfolds into a breezy, ferocious concoction of 4/4 soul-house vibes, neon-colored dance pop melodies, and progressive sounds. Morillo's own production shines bright here too; “Live Your Life” featuring Shawnee Taylor is a heavyweight soul-house tune sure to endure long after the night's ended. Newcomers to the Infrasonics imprint, Jamie Grind and Gon arrive on their respective sides of 'INFRA12003 EP'. Grind unveils two elegantly-crafted dancefloor movers on the A, each employing a stripped-down, chilled aesthetic that ignites into a series of intelligent, head-shaking grooves. “If You Want” is pure ear candy with its infectious lick of R&B vocals, while the sophisticated, sparse percussion and aquatic vibe of “Balloon” tips a hat to the mighty Hessle Audio. On the flip, Gon brings it to a more synthetic place, “Chaka Mad” and “Riddance” are both worthy players in the UK's wonky subgenre. Renowned on German terrain for a handful of top-class tech-house club nights, Solomun drops his latest plate on Mobilee. 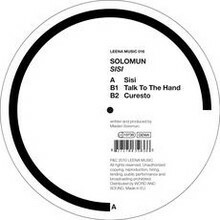 Title track “Sisi” and “Talk To The Hand” impart to the dancefloor a solid blend of austere drum programming and quaking, perforated bass stabs, while the pulsing elegance and delicate piano of “Curesto” ties up the night in fine style. 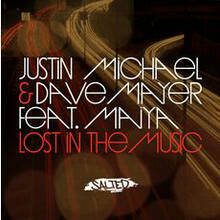 Recalling a bygone era of house, Maiya's soulful vocals feature heavily here, but it's the deconstructed, pared-down remixes where the record truly shines. “Funky Soldiers Dub” and “Born to Funk Oldskool Delight Mix” each apply a lightweight treatment of Maiya's vocals, bringing future sounds to the forefront to create a more engaging, ambient house vibe.